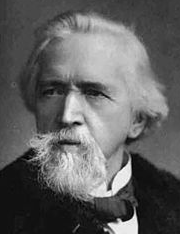 cryptonaut-in-exile: George Holyoake, coined the term "secularism"
Holyoake nevertheless underwent six months imprisonment [convicted of blasphemy], and the editorship of the Oracle changed hands. After the Oracle closed at the end of 1843, Holyoake founded a more moderate paper, The Movement, which survived until 1845. Holyoake then established the Reasoner, where he developed the concept of secularism. I use the word quite a bit, but it didn't occur to me until today that I didn't know when it was coined. Now, I do.